Since not all companies provide on the job training, it can be worth the time to research outside schools and training programs. Even if the company you currently work for offers training, improvement of your skills is never a bad thing. Many colleges offer beneficial courses, such as, fall protection, climbing techniques, etc… But to really get the best training, try the places below where your safety is important. Safety One Training – Based out of Littleton, CO they provide safety training and consultation in order to help you make your job safer while still improving speed and efficiency. Each company has their own requirements regarding certification, but Safety One Training recommends that all climbers receive at least a basic certification, than work under the guidance of at least one worker with an upper certification level. 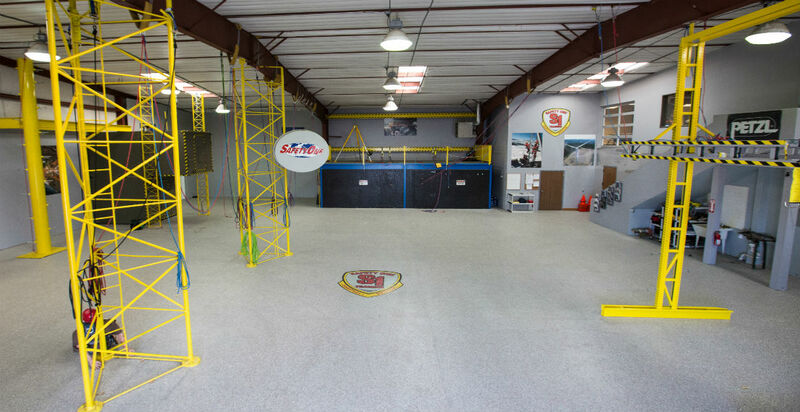 Gravitec Systems, Inc.- They offer not only classroom sessions which focused on fall protection theory, Gravitec Systems offers hands-on exercises as well. This course simulates a real work environment, using all the modern equipment used by tower climber’s working daily in the field. Part of the course covers the five methods of the fall protection hierarchy. The course meets ANSI/ASSE minimum requirements and lasts for five days. ComTrain – Used by hundreds of companies all over the world, and by all branches of the US military, over 75,000 have graduated from this program since it was founded in 1996. ComTrain provides classes in fall protection, climbing safety and rescue training. All of the teachers are certified and have hands-on experience in the field. Just some of the companies that turn to ComTrain for their training needs are: Union Pacific Railroad, Mastec, Bechel, American Tower, Black and Veatch, and General Dynamics. Classes are available throughout the US and Puerto Rico. Miller Fall Protection – This group has one specialty… fall protection and prevention. The offer a 16 hour course in either Franklin, PA or Houston, TX. One of the nice things about their facilities is that everything is set up inside. They have a flat fee for the their course, and for anyone who doesn’t have days, or even weeks to get training accomplished, this course may be ideal. It is specifically geared for individuals in a supervisory role, but may be taken by anyone who wants to know the ins-and-outs. Classes are also limited to 15 people, so individualized instruction is available. Before selecting a training program, ask questions and decide which one fits your needs and goals. Just because uncle Johnny went to a school does not mean that same school will play to YOUR strengths. As with anything, do your homework.